It was a sunny day at the Paracale port. The scent of the ocean and the sound of it made me feel it is indeed summertime. 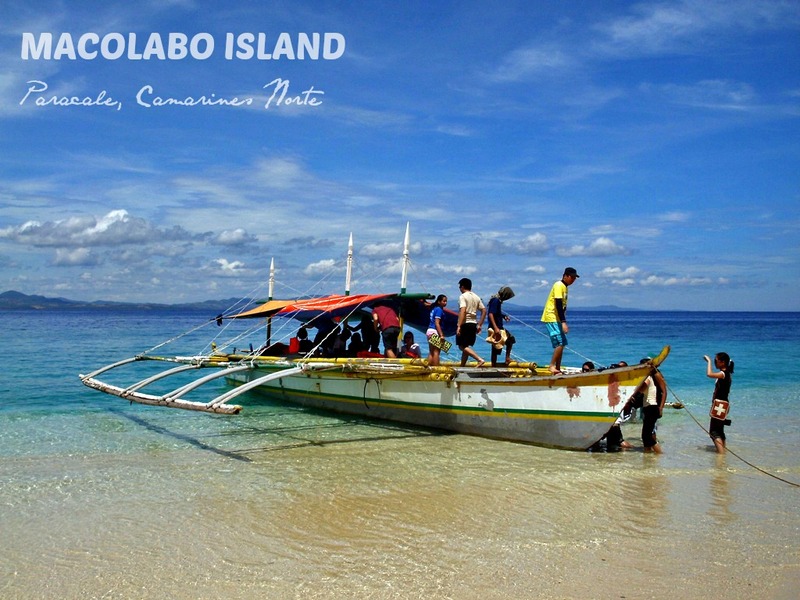 That day’s destination is a small island at this side of Camarines Norte – Macolabo Island. 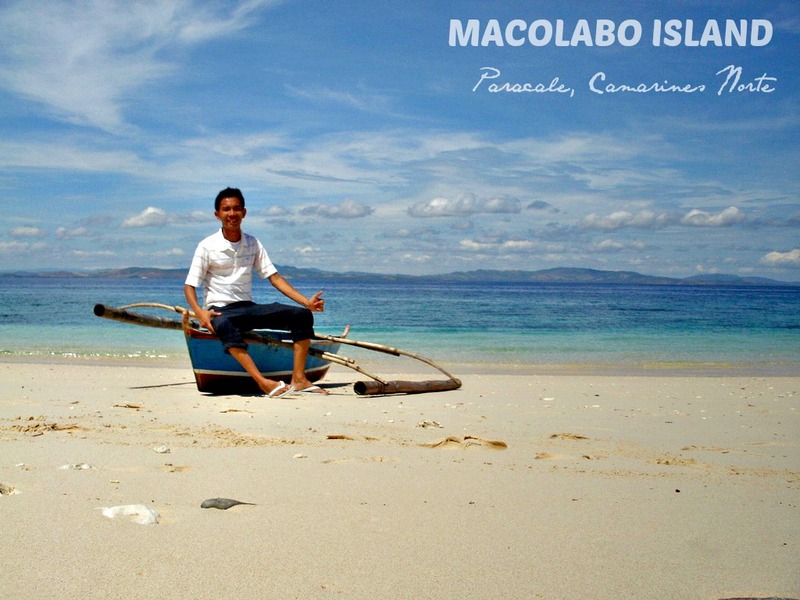 Macolabo Island is a barangay of the town of Paracale and is a part of the Calaguas group of islands The island serves as a major stop-over going to Tinaga Island (it is where the famous long beach “Mahabang Buhangin” is located). 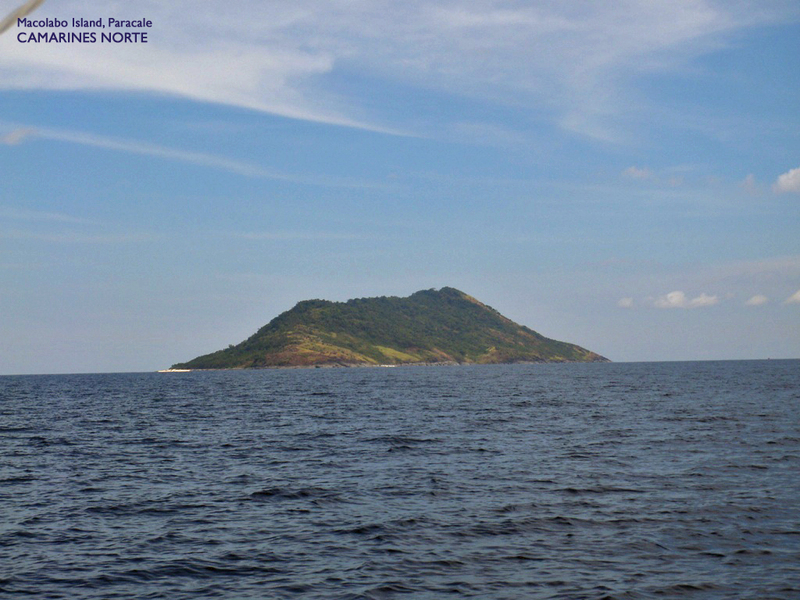 The island is about four kilometers long. Locals reside on parts of the Island with farming and fishing as their main source of income. This write-up highlight’s this piece of paradise near Calaguas (the more famous and frequented beach in Camarines Norte. (I will have a separate blog for my Calaguas trip). Just a 45-minute boat ride from the town of Paracale, this island welcomes its visitors with its fine, white sand and clear, turquoise to emerald green sea water. 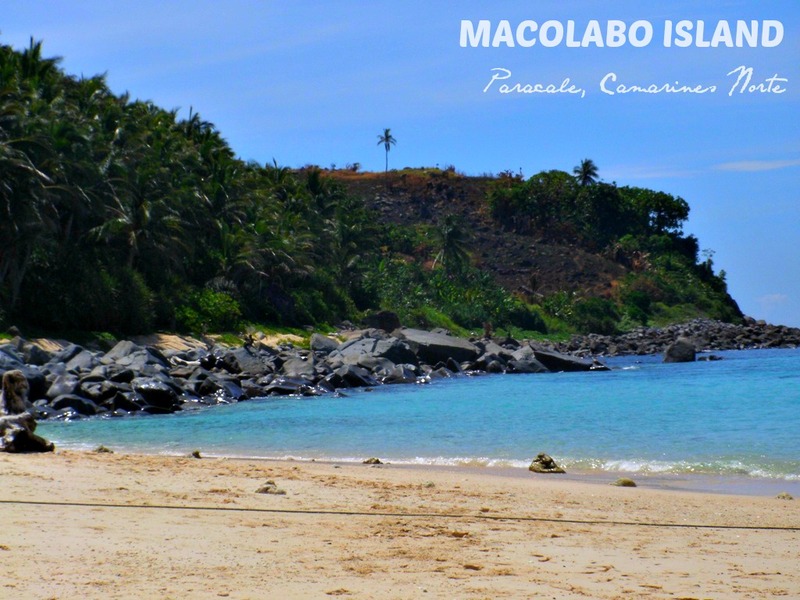 Despite being a side-trip to Calaguas, the beauty of Macolabo will surely capture a beach bummer’s heart. Being small in size, the island can be explored in a matter of few hours. I love how clean the beach is – very ideal for swimming and snorkelling. There is also a part where big smooth rocks add up to this island’s charm. Caution though – be sure to wear your life vest on since the water in Macolabo is deep and the sand sinking deeply as well. If you decide to stay here overnight, you can pitch your tent. (Most people though, would stay at Tinaga Islands). 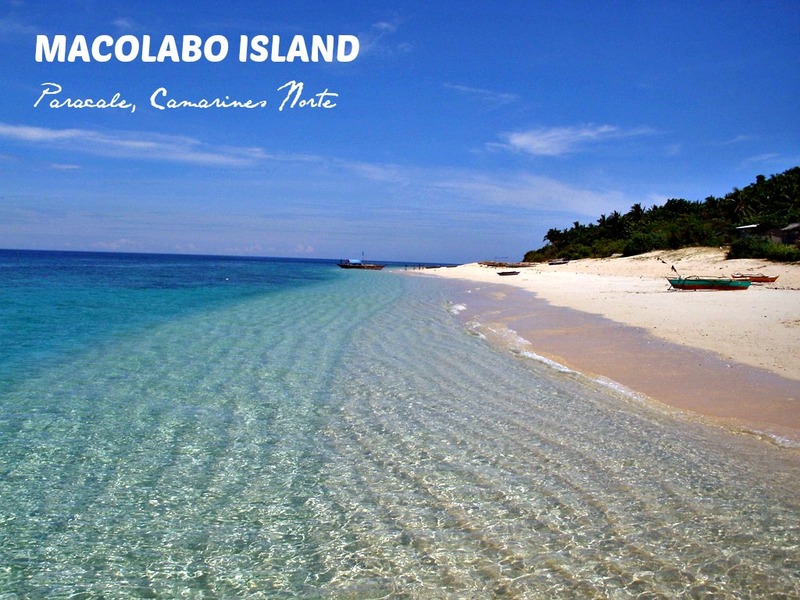 Macolabo mayb not be as awesome as Calaguas, but to me, its charm is more than enough to be admired and be part of my favourite islands list. Make your way to Cubao where Superlines and Philtranco buses are. They have direct bus trips to Paracale. However,if the scheduled trips to Paracale differ from your planned trip, you may take a bus bound for Daet and tell the driver to drop you off at Talobatib. From Talobatib, ride another bus to Paracale then take a tricycle from Paracale town to Paracale port. Approximate travel time from Manila to Paracale is 10 hours. Fare ranges from P500-P800. 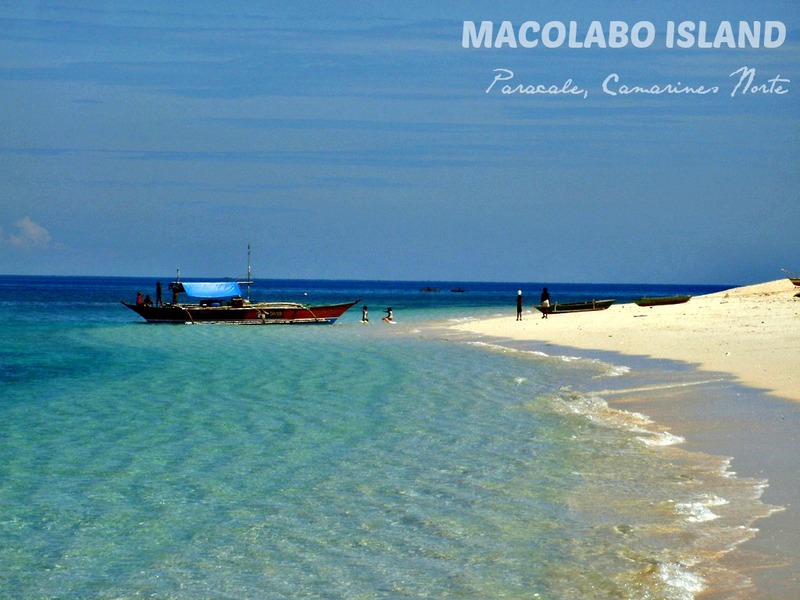 Once in Paracale, hire a boat to Macolabo Island. Approximate cost would be from P1000-P1500. Thank you Louise. And yes, a Calaguas visit is really a must. I am pretty sure you will love every corner of Calaguas. Enjoy! Cheers! Hello, my friend! I am from Ilocos. Spent half of my life studying in Baguio City though. and now, I am Makati based. You are most welcome to visit and roam around ilocos. San ka pala based at taga San ka if you don’t mind me asking? Thank you. You are too kind with your words. Nice. I loooove Bacolod! Been there twice at gusto ko pang bumalik. Explore mo Taiwan. ganda!…sana hindi madiskubre ng mga vandals!